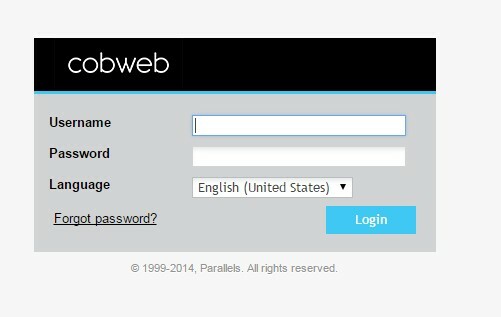 It is possible to reset your own Cobweb Control Panel password for your Admin account via the Cobweb Control Panel logon page. You will see the screen below. 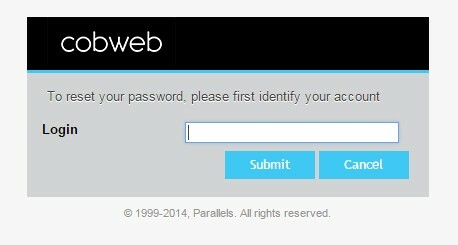 Enter your Admin Username into the box (depending which one you are trying to reset). An email will be sent to the email address associated with your Admin username with a link to reset the password.